Far from the noise of central Osaka, there is a little restaurant run by a chef who won’t bend for quality. 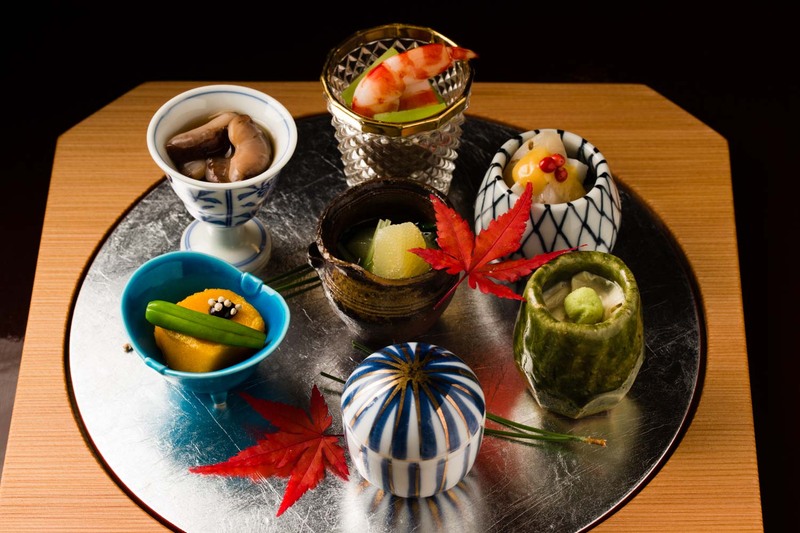 In pursuit of perfection, Shunsaiten Tsuchiya presents an unforgettable tempura course with touches of traditional kaiseki techniques and seasonal flavors. With a wish to attract true gourmands, the two-star restaurant likes to keep a low profile in a quiet neighborhood in the northern part of the city. 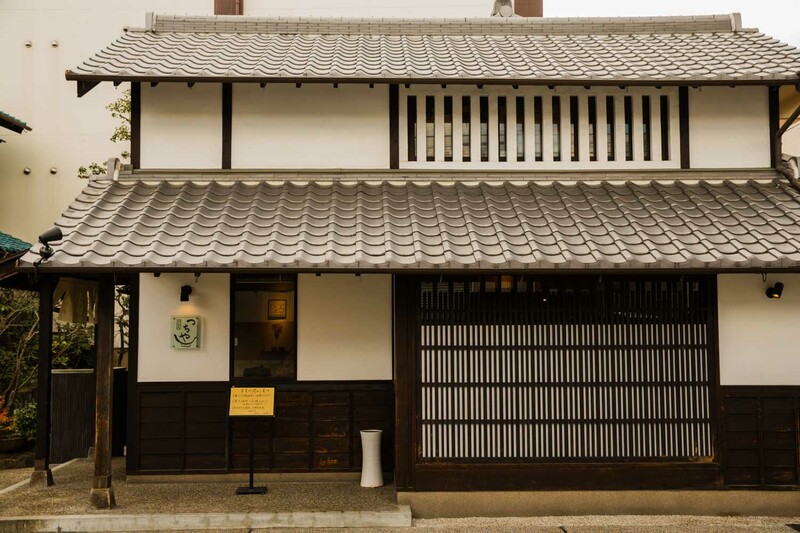 Tastefully traditional, the restaurant sits in a Japanese house of white stone walls and gray kawara-tiled roofs. The windows facing the street are set with white shoji screens, making anyone who passes by wonder what it’s like inside. The zen-like architecture is simple, sophisticated and inviting. The still entryway paves way into a little Japanese garden, welcoming every guest with peacefulness. Inside the spacious restaurant stretches a beautiful red lacquer counter table, so rich and deep in color. As you step into the room, you will notice a quiet man, diligently working away in front of the large oil pot. In contrast to his subtle expressions, the faces of the guests sitting in front of him are pouring with pure pleasure. Right away, you realize the man is Chef Tsuchisaka himself, the master behind the impeccable dishes. 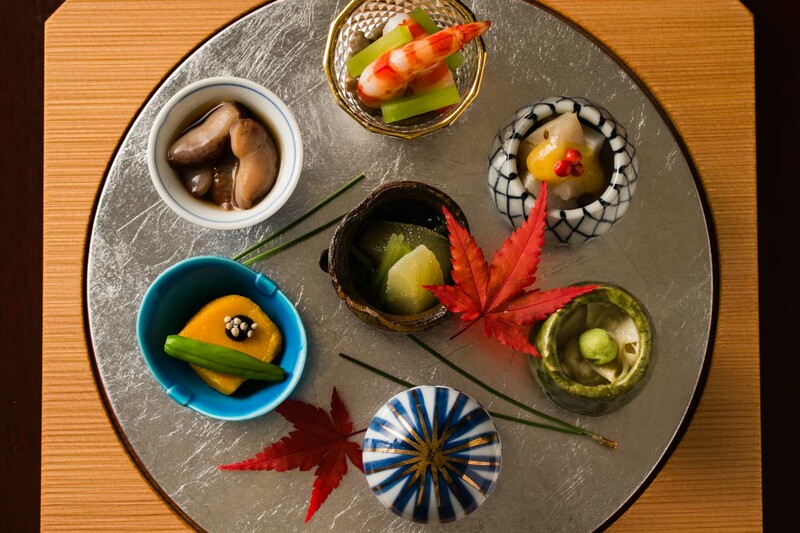 Tsuchisaka’s cuisine is about fusing together delicate kaiseki flavors and the robustness of tempura. He strongly believes that tempura taste its ultimate best the instant after it’s fried, and that moment should never be missed. He wants that bite to taste better than what you’ve imagined before, and it is that amazement that he wants you to savor. To perfect that experience, the thickness of the batter is carefully adjusted for each ingredient. For foods that cook faster, the batter is thinner; while a thicker batter protects foods that take their time. The chef also wants the guests to enjoy the fragrance of the food, not the fragrance of the oil. To achieve this, he has resorted to using cottonseed oil, a local Osaka produce. 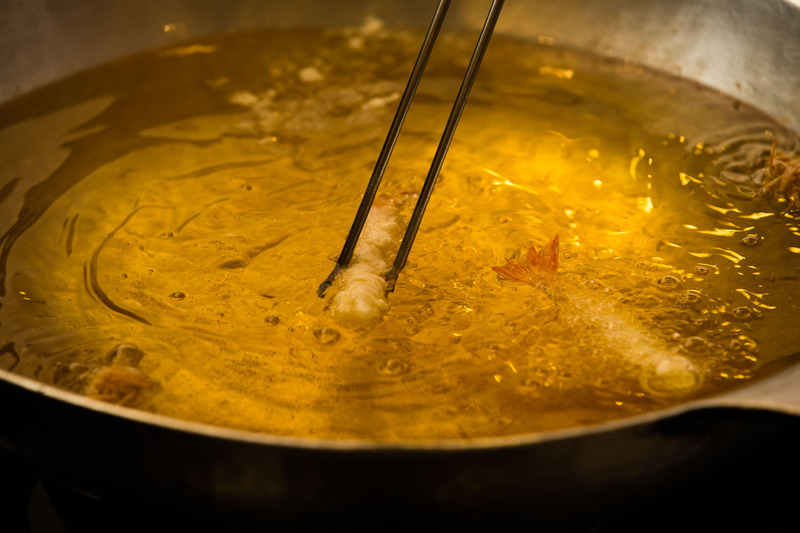 The temperature of the tempura oil is fundamental. Tsuchisaka has now learned to sense the temperature by feeling the heat coming off the pot with his body. To make sure he can detect the right temperature, regardless of how hot or cold it is outside, he sticks to the same combination of clothes: a white chef coat over a crisp white shirt. The meal opens with a breathtaking crab appetizer. 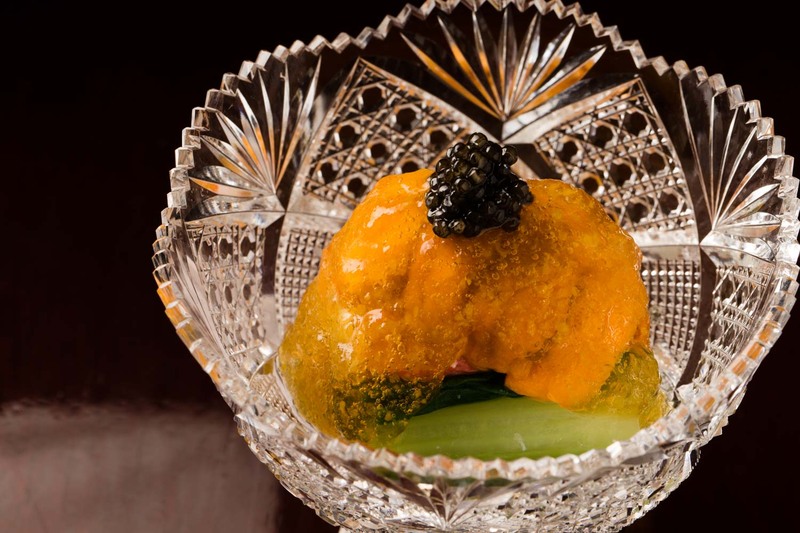 In a small kiriko glass bowl, you will see layers of Matsuba crab meat with fresh cabbage, topped generously with Bafun sea urchin and shining droplets of caviar. 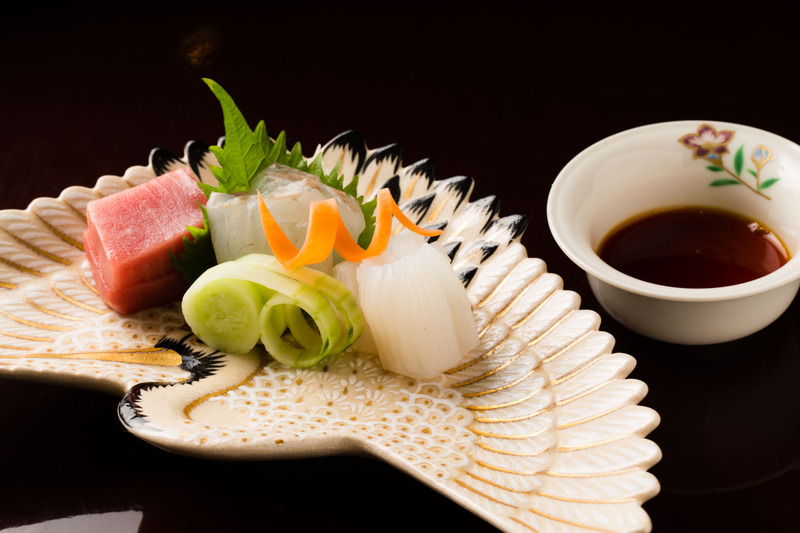 The sashimi assortment that follows includes sweet cuttlefish, tender flounder and melting chutoro tuna, beautifully presented on a graceful crane-motif plate. A tray of little traditional bites adds a different tempo to the course. A salad of tea-bathed sea cucumbers, kuruma shrimp, celery lettuce and maitake mushrooms. Sea scallops and yam tossed in vinegar-miso dressing. Scooped yuba slices topped with sweet salmon roe. Fresh wheat gluten mochi dipped in aromatic miso. Fresh mustard greens with herring roe. A parade of fragrances and textures. 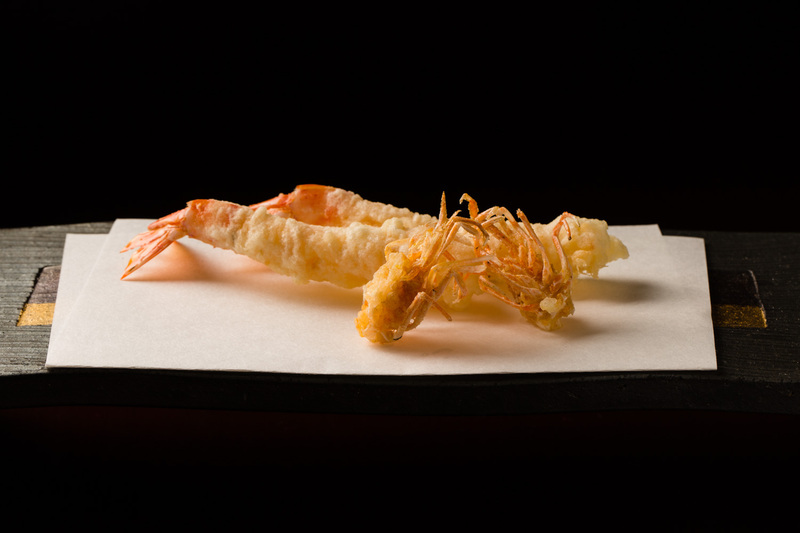 The first fried dish is a beautiful piece of shrimp tempura. So sweet, crisp and juicy. Then, a nice thick piece of tilefish, lightly salted and fluff with softness and flavor. 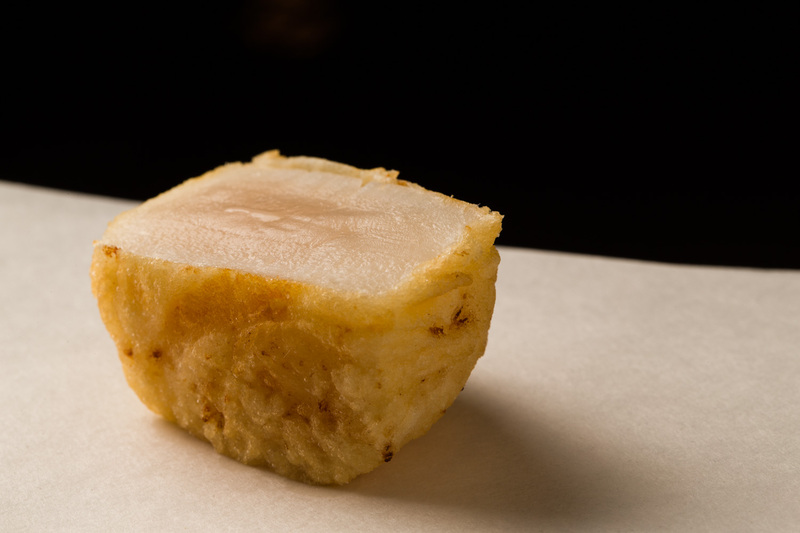 The scallop from Hokkaido is wrapped in a thin batter for a deeper fry, almost raw but perfectly cooked to the center. 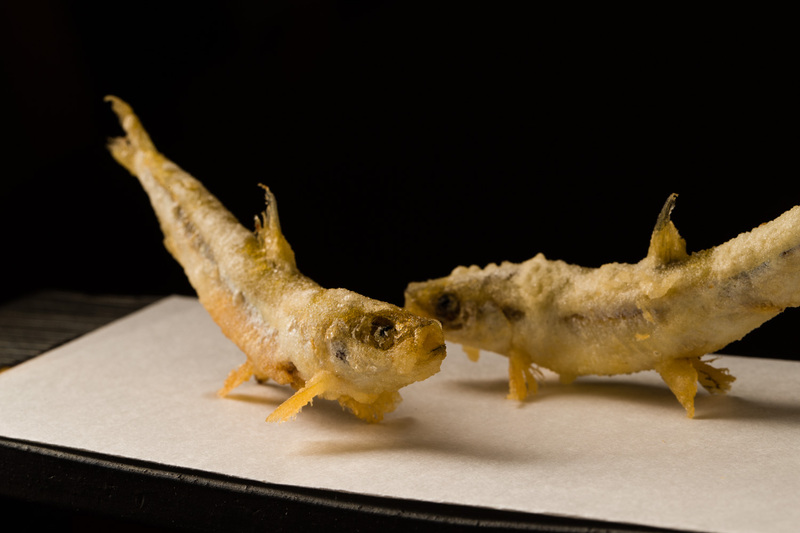 Like Japanese scroll painting, two pieces of fried Wakasagi smelt fish set perfectly as if they would start swimming right there on the washi paper. The fried puffer fish milt pours out like fresh mozzarella from the crisp rice cracker batter. Preferring to stick with small markets, Tsuchisaka buys mainly from individual local vendors. Big markets may be able to offer cheaper prices but you end up diluting your procurement network, he explains. Individual vendors tend to select only the best produce so he depends greatly on that. Tsuchisaka was early to learn about true craftsmanship by watching his father who was a carpenter. He would spend his childhood days playing on construction sites and admiring his father working on the houses with his own hands. During high school, he began working for a fishmonger, with no particular intention of becoming a chef at that time. But watching the men gut and slice the fish with such speed and power, he felt the same sense of admiration as he did watching his father. From then on, he turned to the path of Shokunin, and never looked back. After graduating high school, he enrolled himself in Tsuji Culinary Institute where he discovered his passion for Japanese cuisine. He then started working for a little Japanese restaurant where the masterchef taught him all the basics there was to know. To this day, he has been Tsuchisaka’s true mentor. 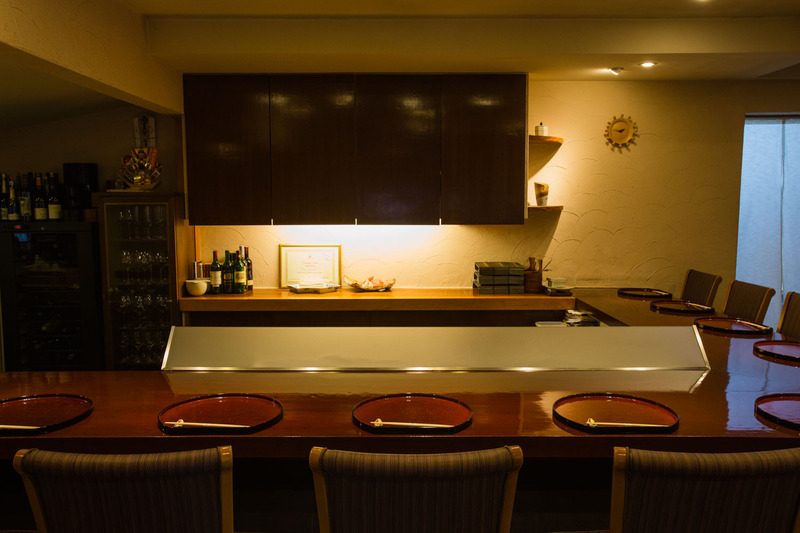 To refine his skills, Tsuchisaka next joined Ueno, one of the most acclaimed Japanese restaurants. Located deep in the mountains of Mino, the restaurant served only 3 parties each night to create a truly special experience for the guests. It was here he learned that people will travel far for true quality. At age 38, he felt the time was right to own a restaurant he could call his own. He had always felt that traditional Japanese dining was far too formal of an experience. In hope to make it more accessible to people, he set his heart on opening a tempura restaurant that also served traditional dishes, but without the rigidity. 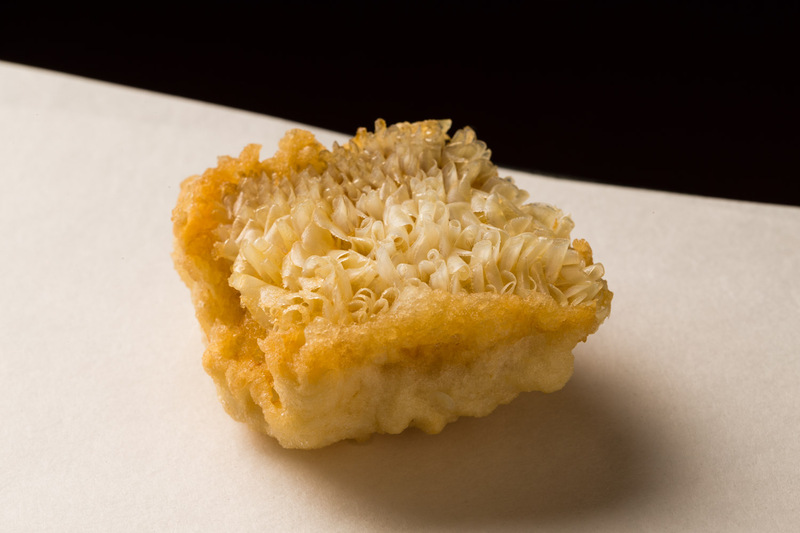 The conclusion to his ongoing search was a unique concept that blended tempura with kaiseki. He named his restaurant Shunsaiten, combining the characters for seasons, vegetables and tempura, and won his first star in 2010. The restaurant has continued to win two stars ever since 2013. For Tsuchisaka, the big challenge has been whether someone like him—trained in traditional Japanese cuisine—could really make a switch into the world of tempura. “The first decade has been about testing my potential,” Tsuchisaka says when asked about his experience thus far. “The next decade will be about taking tempura to a whole new level.” His next challenge is to create an entirely new course dedicated to just tempura. This seemingly simple approach will be hidden with surprises and hours of preparations in order to create something pure but new. 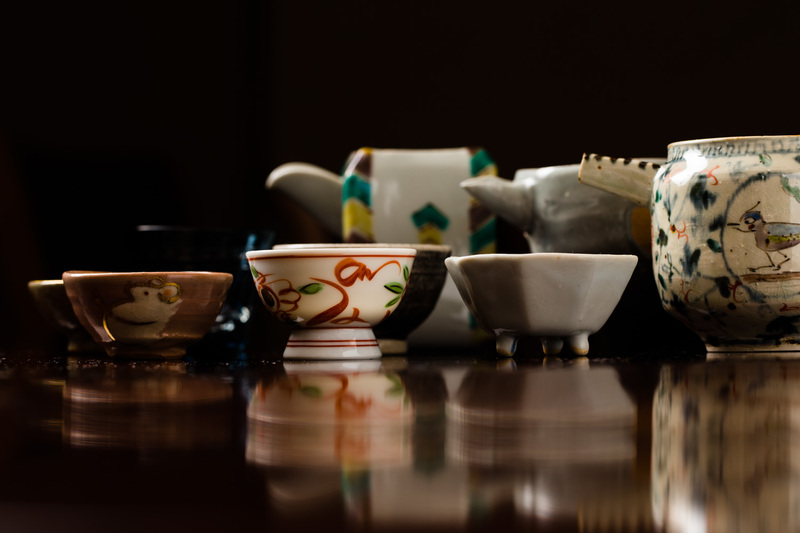 Shunsaiten Tsuchiya offers a diverse variety of about 20 sakes. 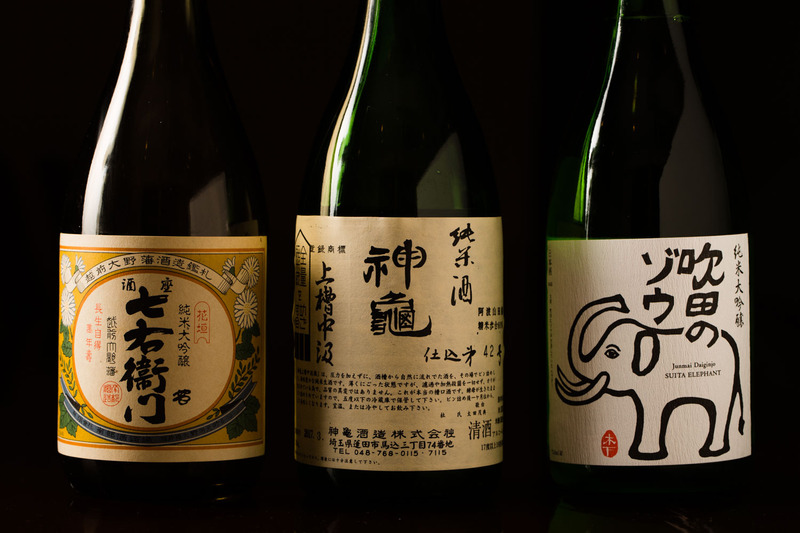 They like to start with more delicate bottles, and move to more punchy ones, in line with the crescendo of the course. The temperature of the food is also important in finding the right drink. As the earlier dishes are colder, they go better with light and clean glasses. Hot foods like tempura bring out the aroma of the sake, so it’s best to match it with fuller brands.